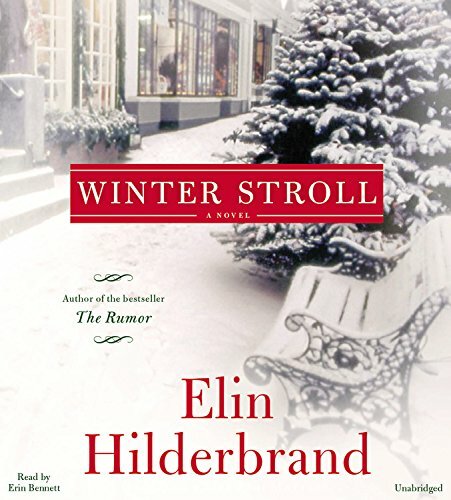 9780316261173 | Little Brown & Co, October 4, 2016, cover price $26.00 | About this edition: Instant National BestsellerGather under the mistletoe for one last round of caroling with the Quinn family in this heartwarming conclusion to Elin Hilderbrand's bestselling Winter Street Trilogy. 9780316396769 | Large print edition (Little Brown & Co, October 4, 2016), cover price $28.00 | About this edition: Instant National BestsellerGather under the mistletoe for one last round of caroling with the Quinn family in this heartwarming conclusion to Elin Hilderbrand's bestselling Winter Street Trilogy. 9780316261135 | Little Brown & Co, October 13, 2015, cover price $25.00 | About this edition: "Happy Holidays 2015! 9780316387729 | Large print edition (Little Brown & Co, October 13, 2015), cover price $27.00 | About this edition: "Happy Holidays 2015! 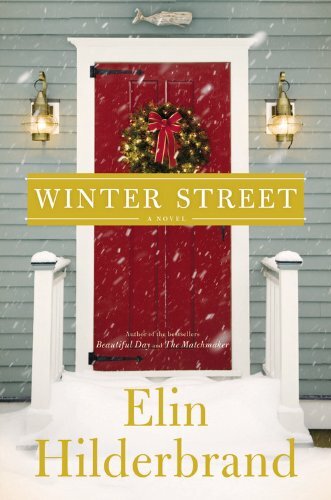 9780316261142 | Back Bay Books, October 4, 2016, cover price $15.99 | About this edition: The Quinn family celebrates their most dramatic Christmas yet in this enchanting sequel to Elin Hilderbrand's bestselling Winter Street. 9780440991366, titled "Football You Are the Coach" | Reissue edition (Dell Pub Co, January 1, 1985), cover price $2.50 | also contains Football You Are the Coach | About this edition: Based upon analysis of pertinent facts, the reader is invited to make a crucial moment decision in ten National Football League championship games. 9780440991731, titled "Tunes for a Small Harmonica" | Dell Pub Co, December 1, 1977, cover price $1.50 | also contains Tunes for a Small Harmonica | About this edition: A rebellious New York teenager, having fallen in love with her poetry teacher, plans to rescue him from poverty. 9780440992240, titled "Up from Slavery" | Dell Pub Co, April 1, 1970, cover price $1.25 | also contains Up from Slavery | About this edition: This Elibron Classics book is a reprint of a 1901 edition published in Norwood, Mass. 9781478935971 | Mp3 una edition (Blackstone Audio Inc, October 13, 2015), cover price $29.99 | About this edition: The Quinn family celebrates their most dramatic Christmas yet in this enchanting sequel to Elin Hilderbrand s bestselling "Winter Street. 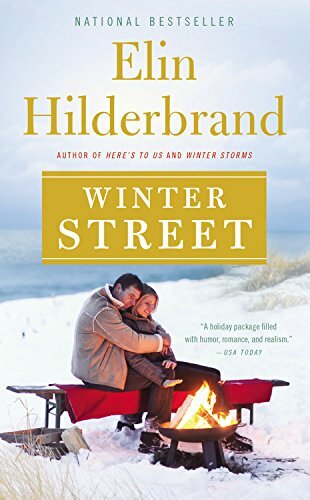 9780316410663 | Large print edition (Little Brown & Co, October 14, 2014), cover price $30.99 | About this edition: In bestseller Elin Hilderbrand's first Christmas novel, a family gathers on Nantucket for a holiday filled with surprises. 9780316376112 | Little Brown & Co, October 14, 2014, cover price $25.00 | About this edition: In bestseller Elin Hilderbrand's first Christmas novel, a family gathers on Nantucket for a holiday filled with surprises. 9780440991281, titled "Basketball You Are the Coach" | Reissue edition (Dell Pub Co, September 1, 1983), cover price $1.95 | also contains Basketball You Are the Coach | About this edition: The reader is invited to make coaching decisions for ten crucial situations in pro basketball play-off-games. 9781478955016 | Unabridged edition (Hachette Audio, October 14, 2014), cover price $30.00 | About this edition: In bestseller Elin Hilderbrand's first Christmas novel, a family gathers on Nantucket for a holiday filled with surprises. 9781478957157 | Mp3 una edition (Blackstone Audio Inc, October 14, 2014), cover price $29.99 | About this edition: In bestseller Elin Hilderbrand s first Christmas novel, a family gathers on Nantucket for a holiday filled with surprises. 9780316334525 | Little Brown & Co, June 16, 2015, cover price $28.00 | About this edition: Madeline King and Grace Pancik are best friends and the envy of Nantucket for their perfect marriages, their beautiful kids, their Sunday night double dates with their devoted husbands. 9780316339353 | Large print edition (Little Brown & Co, June 16, 2015), cover price $30.00 | About this edition: Madeline King and Grace Pancik are best friends and the envy of Nantucket for their perfect marriages, their beautiful kids, their Sunday night double dates with their devoted husbands. 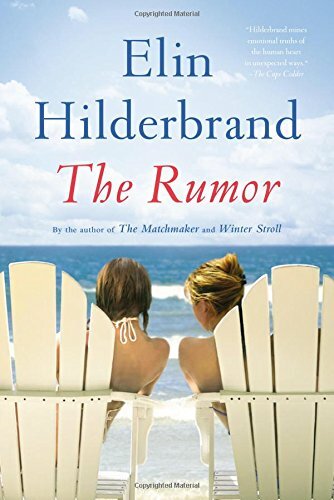 9780316375139 | Lb Books, July 26, 2016, cover price $7.99 | About this edition: A friendship is tested in this irresistible page-turner from New York Times bestselling author Elin Hilderbrand. 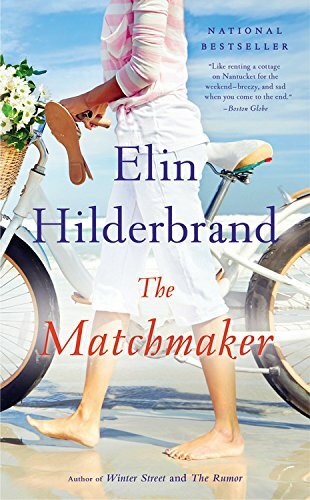 9780316334518 | Reprint edition (Back Bay Books, February 9, 2016), cover price $16.99 | About this edition: A friendship is tested in this irresistible page-turner from New York Times bestselling author Elin Hilderbrand. 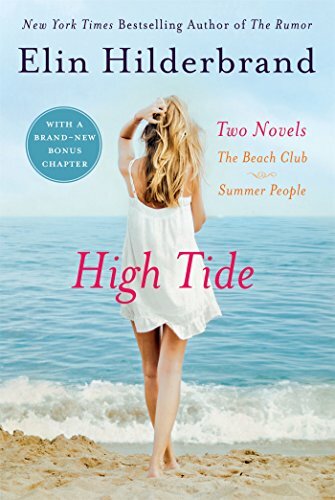 9781478954682 | Unabridged edition (Hachette Audio, June 16, 2015), cover price $35.00 | About this edition: Madeline King and Grace Pancik are best friends and the envy of Nantucket for their perfect marriages, their beautiful kids, their Sunday night double dates with their devoted husbands. 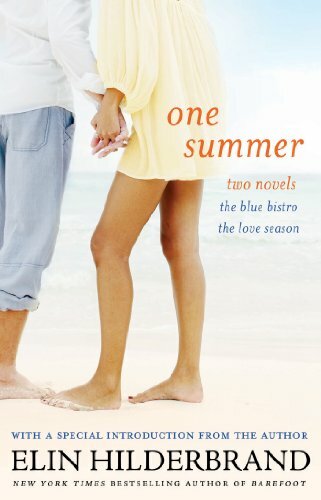 9781478934691 | Mp3 una edition (Blackstone Audio Inc, June 16, 2015), cover price $44.99 | About this edition: Struggling with looming bills and writer's block while her best friend faces a life-changing decision, Nantucket author Madeline King tackles escalating rumors during a summer of explosive secrets. 9780316269940 | Large print edition (Little Brown & Co, June 14, 2016), cover price $30.00 | About this edition: Three romantic rivals. 9780316375146 | Little Brown & Co, June 14, 2016, cover price $28.00 | About this edition: Three romantic rivals. 9781478909392 | Unabridged edition (Hachette Audio, June 14, 2016), cover price $35.00 | About this edition: Three romantic rivals. 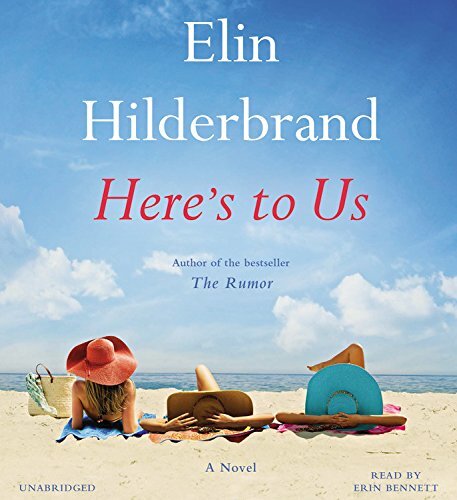 9781478965084 | Mp3 una edition (Blackstone Audio Inc, June 14, 2016), cover price $39.99 | About this edition: An emotional, heartwarming story from New York Times bestselling author Elin Hilderbrand about a grieving family that finds solace where they least expect it. 9781478965077 | Unabridged edition (Blackstone Audio Inc, June 14, 2016), cover price $99.99 | About this edition: An emotional, heartwarming story from New York Times bestselling author Elin Hilderbrand about a grieving family that finds solace where they least expect it. 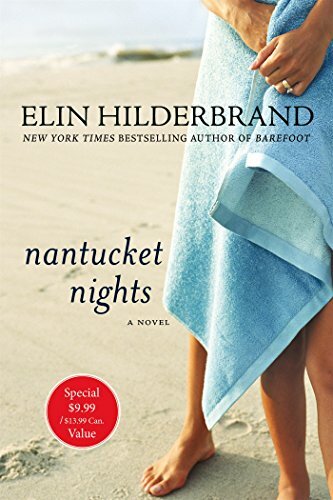 9781250104892 | Griffin, May 17, 2016, cover price $15.99 | About this edition: Get swept away to an island where memories are made, friendships begun, and passions ignited, in two beloved Nantucket classics collected into one volume, High Tide, by New York Times bestselling author Elin HilderbrandIn The Beach Club, Mack Petersen has returned as always on the first day of May to once again open and manage the Nantucket Beach Club and Hotel alongside its owners, Bill and Therese Elliott. 9780312283353 | 1 edition (St Martins Pr, June 1, 2002), cover price $23.95 | About this edition: Two women of a friendship trio are shattered when their third companion accidentally drowns, and in the aftermath, they realize that their loss extends beyond grief as their layers of secrets and connections are gradually revealed. 9781250104656 | Reissue edition (Griffin, May 3, 2016), cover price $9.99 | About this edition: The ties between women can run as deep as the ocean-but so can the secrets. 9781250024527 | Reprint edition (Griffin, May 22, 2012), cover price $9.99 | About this edition: The ties between women can run as deep as the ocean-but so can the secrets. 9780312565312 | Reprint edition (Griffin, May 12, 2009), cover price $15.99 | About this edition: The ties between women can run as deep as the ocean--but so can their secrets. 9781429943383 | Large print edition (Griffin, July 13, 2003), cover price $25.00 | About this edition: The ties between women can run as deep as the ocean--but so can their secrets. 9780312989767 | St Martins Pr, June 1, 2003, cover price $8.99 | About this edition: Participating in an annual tradition by which they drink champagne, skinny dip, and talk until morning, two women of a friendship trio are shattered when their third companion accidentally drowns, and in the aftermath, they realize that their loss extends beyond grief as their layers of secrets and connections are gradually revealed. 9781427277473 | Unabridged edition (Macmillan Audio, January 5, 2016), cover price $45.99 | About this edition: The ties between women can run as deep as the ocean-but so can the secrets. 9780316353564 | Reprint edition (Reagan Arthur Books, November 3, 2015), cover price $9.99 | About this edition: Meredith Martin Delinn just lost everything: her friends, her homes, her social standing - because her husband Freddy cheated rich investors out of billions of dollars. 9780316099646 | Reprint edition (Reagan Arthur Books, July 31, 2012), cover price $7.99 | About this edition: Meredith Martin Delinn just lost everything: her friends, her homes, her social standing - because her husband Freddy cheated rich investors out of billions of dollars. 9780316190428 | Little Brown & Co, June 21, 2011, cover price $16.00 | About this edition: Meredith Martin Delinn just lost everything: her friends, her homes, her social standing - because her husband Freddy cheated rich investors out of billions of dollars. 9781609412883 | Unabridged edition (Hachette Audio, June 21, 2011), cover price $34.98 | About this edition: Meredith Martin Delinn just lost everything: her friends, her homes, her social standing - because her husband Freddy cheated rich investors out of billions of dollars. 9781478987505 | Unabridged edition (Hachette Audio, October 13, 2015), cover price $30.00 | About this edition: "Happy Holidays 2015! 9781478935964 | Unabridged edition (Blackstone Audio Inc, October 13, 2015), cover price $69.99 | About this edition: The Quinn family celebrates their most dramatic Christmas yet in this enchanting sequel to Elin Hilderbrand s bestselling "Winter Street. 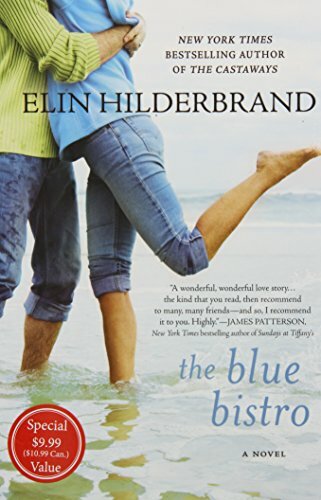 9780316404679 | Large print edition (Little Brown & Co, June 10, 2014), cover price $35.99 | About this edition: A touching new novel from bestselling author Elin Hilderbrand in which a woman sets out to find love for those closest to her - before it's too late. 9780316099752 | Little Brown & Co, June 10, 2014, cover price $28.00 | About this edition: A touching new novel from bestselling author Elin Hilderbrand in which a woman sets out to find love for those closest to her - before it's too late. 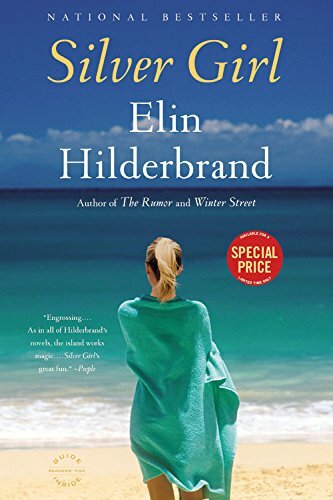 9780316099684 | Reprint edition (Lb Books, July 28, 2015), cover price $8.00 | About this edition: A touching new novel from bestselling author Elin Hilderbrand in which a woman sets out to find love for those closest to her - before it's too late. 9780316099691 | Reprint edition (Back Bay Books, February 10, 2015), cover price $17.00 | About this edition: In this moving story about losing and finding love again, a woman sets out to find the perfect matches for those closest to her. 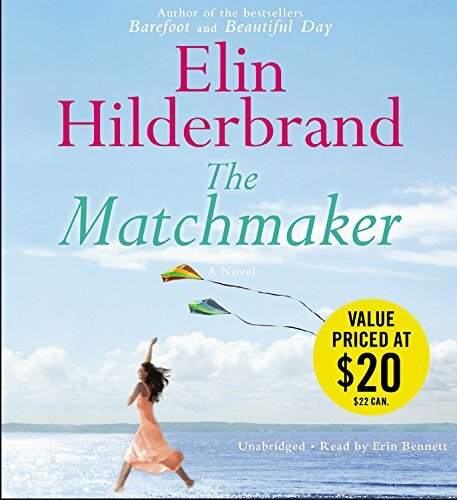 9781607885245 | Unabridged edition (Hachette Audio, June 10, 2014), cover price $35.00 | About this edition: A touching new novel from bestselling author Elin Hilderbrand in which a woman sets out to find love for those closest to her - before it's too late. 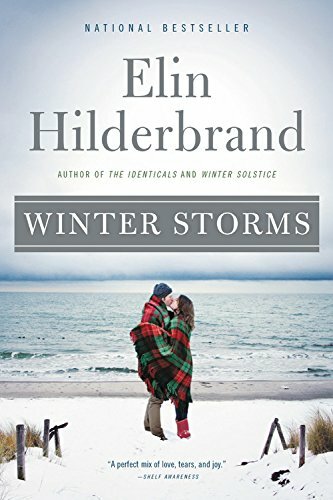 9781478933366 | Unabridged edition (Blackstone Audio Inc, June 16, 2015), cover price $109.99 | About this edition: Two couples lives become scandalously entwined in the latest from "New York Times" bestselling author Elin Hilderbrand. 9780786290109 | Large print edition (Thorndike Pr, October 18, 2006), cover price $28.95 | About this edition: Itâs a hot August Saturday on Nantucket Island. 9780312322304 | St Martins Pr, May 30, 2006, cover price $24.95 | About this edition: Journeying to Nantucket to visit with her new fiancâe's family, Renata goes against her father's wishes to confront the truth about her mother's untimely death, an effort that brings her into the complicated life of her godmother, Marguerite. 9780312993771 | St Martins Pr, May 19, 2015, cover price $7.99 | About this edition: It's a hot August Saturday on Nantucket Island. 9781250024534 | Reprint edition (Griffin, May 22, 2012), cover price $9.99 | About this edition: Itâs a hot August Saturday on Nantucket Island. 9780312369699 | Reprint edition (Griffin, April 17, 2007), cover price $14.99 | About this edition: Journeying to Nantucket to visit with her new fiancé's family, Renata goes against her father's wishes to confront the truth about her mother's untimely death, an effort that brings her into the complicated life of her godmother, Marguerite. 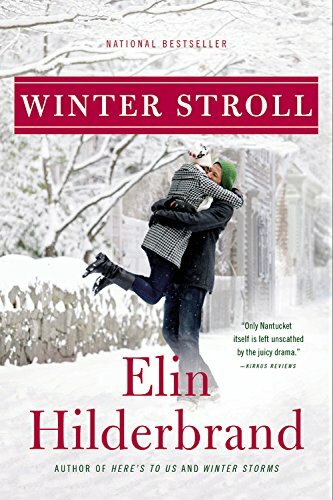 9781478957140 | Unabridged edition (Blackstone Audio Inc, October 14, 2014), cover price $69.99 | About this edition: In bestseller Elin Hilderbrand s first Christmas novel, a family gathers on Nantucket for a holiday filled with surprises. Product Description: It was the summer that would change their lives forever . . .
9780312283674 | 1 edition (St Martins Pr, May 1, 2003), cover price $24.95 | About this edition: A summer of healing turns turbulent when Beth, grieving widow, and her teenage twins experience passion and first love, but a dangerous secret from her past threatens to destroy the family. 9781250042378 | Reprint edition (Griffin, May 7, 2013), cover price $9.99 | About this edition: Every summer, the Newton family retreats to their beloved Nantucket home. 9780312628277 | Reprint edition (Griffin, April 27, 2010), cover price $14.99 | About this edition: "Things get more twisted at every turn, with enough lies and betrayals to fuel a whole season of soap operas. 9780312997199 | Reprint edition (St Martins Pr, June 1, 2004), cover price $7.99 | About this edition: A summer of healing turns turbulent when a grieving widow and her teenage twins experience passion, first love, and a dangerous secret from the widow's past that threatens to destroy the family. 9781628992076 | Lrg rep edition (Center Point Pub, August 1, 2014), cover price $35.95 | About this edition: It was the summer that would change their lives forever . 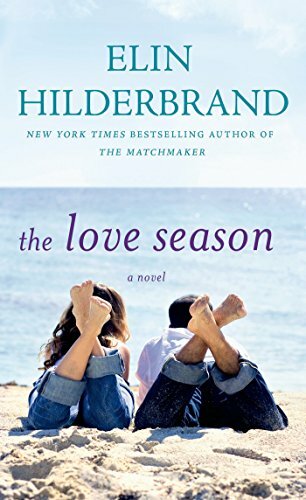 9781478901297 | Unabridged edition (Blackstone Audio Inc, June 24, 2014), cover price $79.99 | About this edition: A touching new novel from bestselling author Elin Hilderbrand in which a woman sets out to find love for those closest to her before it s too late""Forty-eight-year-old Nantucketer Dabney Kimball Beech has always had a gift for matchmaking. 9781410443953 | Large print edition (Thorndike Pr, March 21, 2012), cover price $31.99 | About this edition: A New York Times Bestseller -- Adrienne Dealey spent the past six years working for hotels in exotic resort towns. 9780312319533 | St Martins Pr, June 1, 2005, cover price $24.95 | About this edition: Having worked for six years in the hotels of exotic resort towns, Adrienne Dealey relocates to Nantucket in the hopes of recouping her finances and gets a crash course in restaurant management at a popular locale that is preparing to close, an endeavor that is compromised by her budding relationship with her boss. 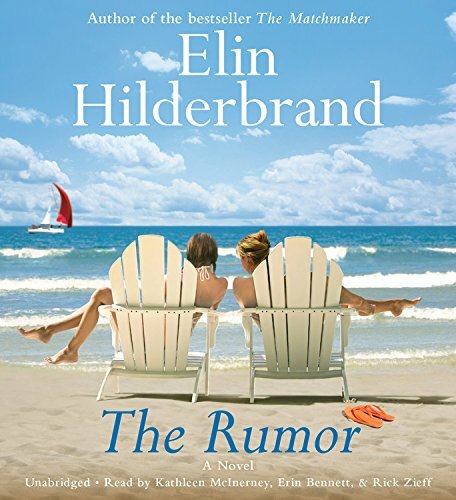 9781250059703 | Griffin, June 3, 2014, cover price $9.99 | About this edition: Elin Hilderbrand, author of the enchanting Summer People and The Beach Club, invites you to experience the perfect getaway with her sparkling new novel. 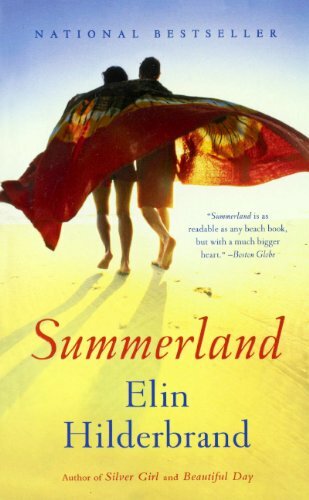 9780312628260 | 1 reprint edition (Griffin, May 25, 2010), cover price $15.99 | About this edition: Elin Hilderbrand, author of the enchanting Summer People and The Beach Club, invites you to experience the perfect getaway with her sparkling new novel. 9780312992620 | Reissue edition (St Martins Pr, May 30, 2006), cover price $8.99 | About this edition: Having worked for six years in the hotels of exotic resort towns, Adrienne Dealey relocates to Nantucket in the hopes of recouping her finances and gets a crash course in restaurant management at a popular locale that is preparing to close, an endeavor that is compromised by her budding relationship with her boss. 9780316018609 | Little Brown & Co, July 1, 2008, cover price $24.99 | About this edition: Claire Danner Crispin, mother of four young children and nationally renowned glassblower, bites off more than she can chew when she agrees to co-chair the Nantucket's Children Summer Gala. 9780316371575 | Back Bay Books, May 6, 2014, cover price $10.00 | About this edition: She's the perfect wife and mother--and he's the perfect temptation. 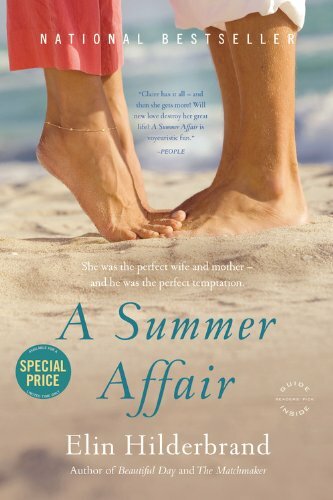 9780316018616, titled "A Summer Affair: A Novel" | Reprint edition (Back Bay Books, June 10, 2009), cover price $15.00 | About this edition: She's the perfect wife and mother--and he's the perfect temptation. 9780340994436 | Hodder & Stoughton, June 1, 2009, cover price $11.85 | About this edition: Now available as a value-priced edition! 9781847442246 | Gardners Books, July 3, 2008, cover price $21.10 | About this edition: Claire Danner Crispin, mother of four young children and nationally renowned glassblower, bites off more than she can chew when she agrees to co-chair the Nantucket's Children Summer Gala. 9781600242328 | Unabridged edition (Hachette Audio, July 1, 2008), cover price $39.98 | About this edition: Sheila Crispin Cook, mother of four young children and nationally renowned glassblower, bites off more than she can chew when she agrees to co-chair a huge benefit concert on Nantucket. 9780316371551 | Special edition (Back Bay Books, May 6, 2014), cover price $10.00 | About this edition: Visiting Nantucket for the summer, three women seek peace and comfort as they cope with the challenges in their lives--from marriage, infidelity, and the mayhem of motherhood to scandal, tragedy, and illness. 9780316208109 | Large print edition (Reagan Arthur Books, July 10, 2012), cover price $28.99 | About this edition: The "queen of the summer novel" explores the power of community, family, and honesty-and proves that even from the ashes of sorrow new love can take flight (Kirkus Reviews). 9780316099837 | Reagan Arthur Books, June 26, 2012, cover price $26.99 | About this edition: A warm June evening, a local tradition: the students of Nantucket High have gathered for a bonfire on the beach. 9781619693395 | Unabridged edition (Hachette Audio, March 26, 2013), cover price $19.98 | About this edition: A warm June evening, a local tradition: the students of Nantucket High have gathered for a bonfire on the beach. 9781607885269 | Unabridged edition (Hachette Audio, June 26, 2012), cover price $34.98 | About this edition: A warm June evening, a local tradition: the students of Nantucket High have gathered for a bonfire on the beach. 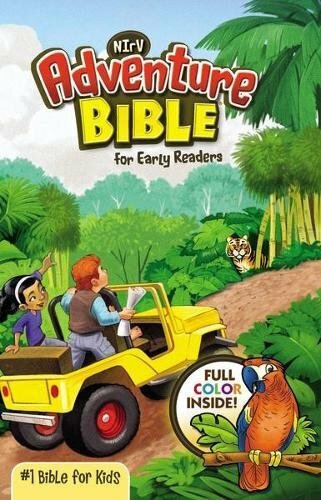 9780606316392 | Reprint edition (Turtleback Books, July 30, 2013), cover price $18.45 | About this edition: FOR USE IN SCHOOLS AND LIBRARIES ONLY. 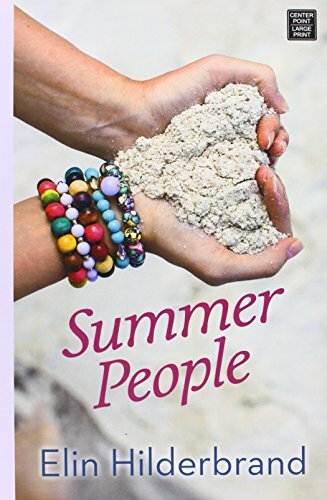 9780316233941 | Large print edition (Reagan Arthur Books, June 25, 2013), cover price $30.00 | About this edition: A summer wedding stirs up trouble on both sides of the family in this beloved bestseller from "the queen of the summer novel" (People). 9780316099769 | Back Bay Books, March 4, 2014, cover price $16.00 | About this edition: Pub Date: 2014-03-04 Pages: 432 Language: English Publisher:. 9781444723991 | Gardners Books, July 4, 2013, cover price $23.45 | About this edition: The Carmichaels and the Grahams have gathered on Nantucket for a wedding. 9781607885252 | Unabridged edition (Hachette Audio, July 2, 2013), cover price $34.98 | About this edition: The Carmichaels and the Grahams have gathered on Nantucket for a wedding. 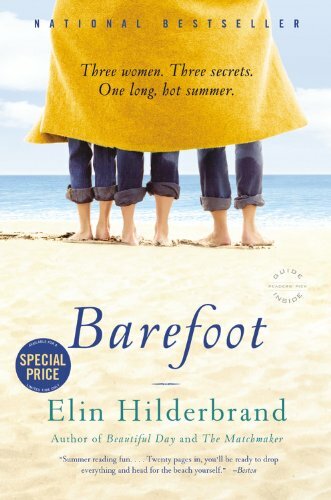 9781250033536 | Griffin, May 7, 2013, cover price $15.99 | About this edition: Just in time for summer vacation comes this reissue of two beloved Elin Hilderbrand classics, filled with double the sun, sand, drama and romance that fans love.